RPG stands for role-playing game, it is a genre in which the players assume the role of a fictional character in a setting and actually live out the story. The usual draw of such games is that they put the player in the hero’s shoes and every decision one makes can affect the outcome of various events in the game world. Often RPGs have multiple endings and story lines that pan out as a result of certain decisions on makes. Large explorable worlds, thousands of quests to complete and characters to interact with and epic storylines are characteristics of RPGs. Amongst all game genres, RPGs are the most immersive and usually have the largest amount of gameplay time. Since the beginning of video games there have been RPGs; and worlds, storylines, graphics, everything have gotten bigger, better and much more ambitious. Modern RPGs are so vast and immersive one can get lost in their worlds and spend days on end and still not discover all their secrets. There have been a lot of good RPGs but there are only few that are considered great. Amongst them, some are long running series and some are one off games that are brilliant enough to be counted amongst the best. So without further ado, here are the top 10 greatest RPGs and series! The first Elder Scrolls game was released way back in 1994, it was called The Elder Scrolls: Arena. Initially developed as an action game in the now well known medieval world of Tamriel, it eventually became an RPG. It released to modest success. This led to The Elder Scrolls II: Daggerfall in 1996, the more ambitious successor which was one the first games to have an interactive 3D world. Daggerfall was also met with success but was notorious for having a lot of bugs and glitches. Bethesda, the developer of the series stopped creating numbered RPG titles after Daggerfall and instead released two games that bore the Elder Scrolls name but were basically just action games. Come 2002, Bethesda returned to its RPG roots and released The Elder Scrolls III: Morrowind. It was met with critical and commercial success on the PC and Xbox and was one of the first that showed of the power of the then new Microsoft console. Morrowind was praised for its visuals, degree of freedom, breadth and scope. Two expansion were released called Tribunal and Bloodmoon that expanded the storyline. In later 2006, The Elder Scrolls IV: Oblivion hit store shelves and was praised as one of the best games of all time. Oblivion had a new graphics engine, NPC’s that followed schedules and a very large world. Again, two expansion packs were released called The Shivering Isles and Knights of the Nine. The fourth installment of the series had already found its place in many “best of” lists and set extremely high standards for coming sequels and other RPGs in general. So in 2010 a sequel to Oblivion was announced and the hype was incredible. 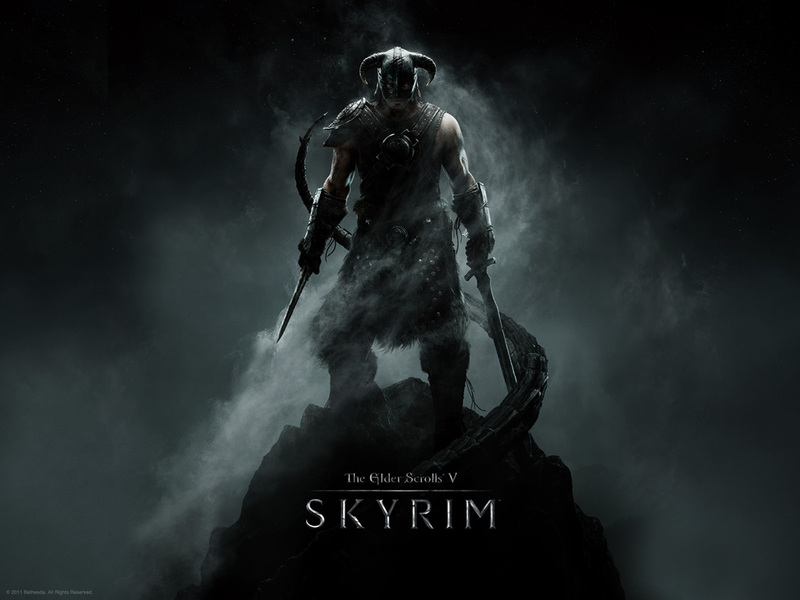 The fifth entrant in the series, The Elder Scrolls V: Skyrim was launched in November 2011 and shattered records. It not only lived up to the hype, it bettered the lofty standards created by its own prequel. It was marred by minor glitches, but the graphics, physics engine, storyline, world and everything was praised to the moon. Skyrim is already considered one of the greatest games of all time, over its predecessor. In 1996, Interplay studios released Fallout. It was a RPG set in a nuclear war ravaged post apocalyptic world and had the innovative idea of limited resources and game ending events. For example, the player is given only a certain amount of in game days to complete his/her tasks before a game ending mechanic takes place. This time can be extended by certain quests, but there is always the sense of impending doom. Fallout was met with critical and commercial success and appears in many best games of all time lists even now. In 1998 a sequel, Fallout 2 was released, it was set 80 years into the future and the protagonist was a descendant of the original game’s protagonist. Game mechanics and graphics remained mostly unchanged but it featured a larger world, a more expansive storyline and fixed most interface issues with the first game. Fallout 2 was also met with critical success but was often called out for being too similar to its prequel. 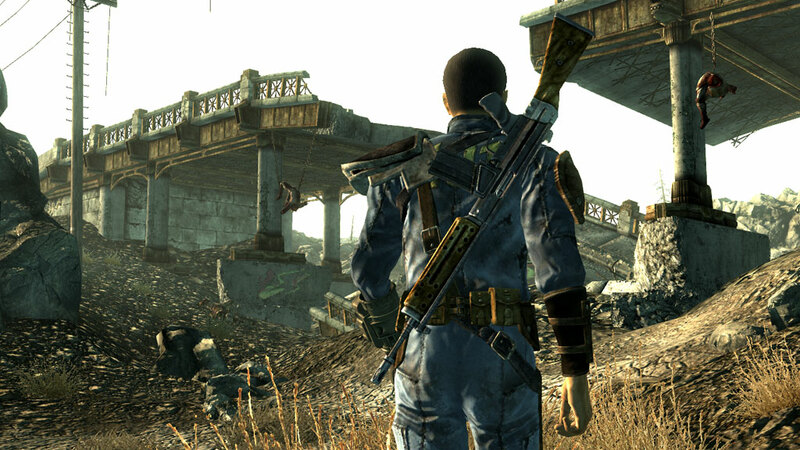 After a long hiatus during which various spin-offs were released, Fallout 3 hit the shelves in 2008. Again, Fallout 3 was met with critical and commercial success. But, Fallout 3 was developed by Bethesda Softworks, the same studio responsible for the fantastic Elder Scrolls series. After Interplay studios went bankrupt, Bethesda bought the rights for the series. Interplay was also working on a sequel to Fallout 2, but none of its code was used and Bethesda created an entirely new game from scratch. The graphics engine, atmosphere and large world was praised it was given many awards. Interestingly, Fallout 3 wasn’t officially released in India because it might offend cultural sensibilities. This was particularly due to the presence of two headed mutated cows called “Brahman”, from the real life “brahman” breed of cattle. Fallout 3 had many small content packs with new sub storylines released later. The complete game including these DLC’s was released and called The Fallout 3: Game Of The Year edition. Obsidian Entertainment and Bethesda Softworks then released a spinoff game called Fallout: New Vegas in 2010. It was not a direct sequel to Fallout 3 but featured similar gameplay elements and the same engine. Although marred by glitches, New Vegas was well received. Fallout: New Vegas currently holds the world record for most lines of dialogue in a single player RPG. It hsa over 65,000 lines of dialogue, in comparison Fallout 3 had 40,000. Deus Ex was an innovative first person shooter RPG game released by Eidos Interactive in 2000. Developed by the now defunct Ion Storm Inc., the game was noted for its great atmosphere, expansive environments, effortless blending of first person shooter and RPG elements and particularly its highly ambitious storyline. Deus Ex is featured in many best games of all time lists. In 2003, a sequel called Deus Ex: Invisible War was released. Invisible War ran on a heavily modified Unreal engine and also used the Havok physics engine. Critically and commercially the game did not do as well as its prequel, but it was a reasonably well received game. It was criticized particularly for dumbing down the signature RPG and customization elements of the first game. In 2007, a prequel called Deus Ex: Human Revolution was announced. Square Enix, the well known Japanese company was named as the publisher with Eidos Montreal as the developer. Human Revolution had pretty high standards to live up to and some of the gameplay changes didn’t garner many positive reactions from long time Deus Ex fans. However, after a bunch of very impressive trailers, it was released in August 2011 to universal critical acclaim. 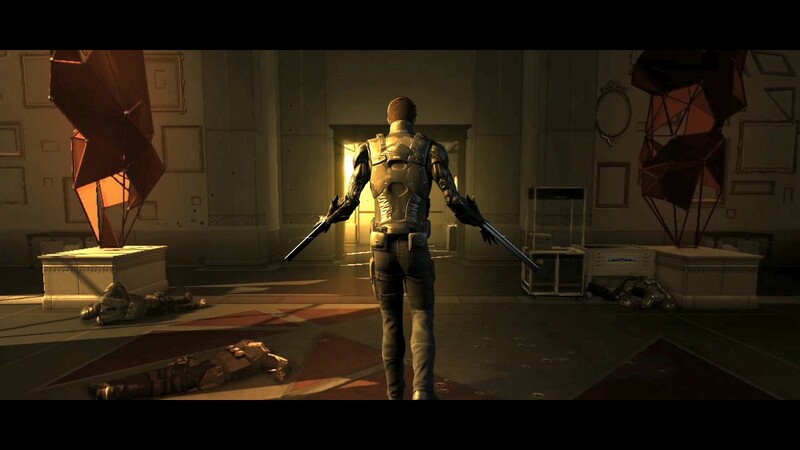 Deus Ex: Human Revolution was praised for its storyline, graphics, original score, voice acting and open ended nature. Conversations and actions in particular affected the game world, and this made it even more immersive. Players could go for the stealthed approach or go in all guns blazing, the flexibility offered was a USP for Human Revolution. Also, the non-linearity of the main and sub quests were praised. No RPG feature can go without mentioning the juggernaut that is the Final Fantasy series. This epic series of over 20+ games including spinoffs is one of the greatest series in modern gaming. Originally developed and published by Square, now known as Square Enix, the Final Fantasy series was created by Hironobu Sakaguchi. Games from this series have spanned generations of gaming hardware and are available on almost every platform out there, even mobile platforms have Final Fantasy games. The main canonical series has 14 games spread over various platforms from the SNES to the PlayStation 3. 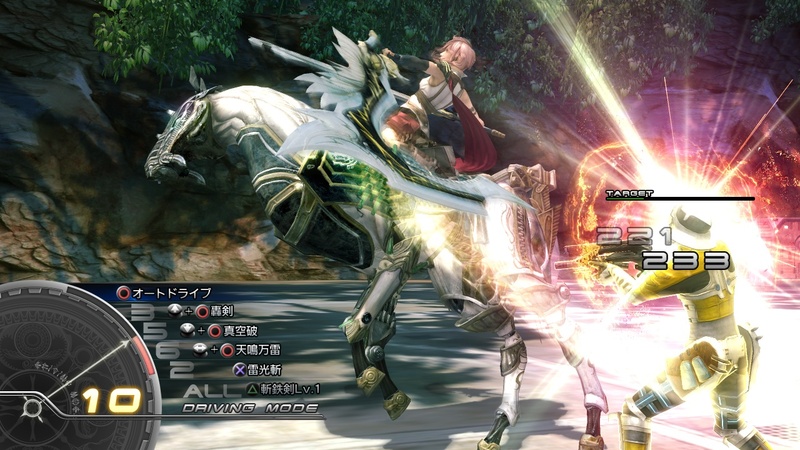 Often the games in this series involve a group of characters battling an ancient evil and a state in rebellion. There have been a few recurring characters and themes in the series, but most of the worlds are new. The series has been consistently well received critically and commercially. Only the newest MMORPG installment, Final Fantasy XIV wasn’t particularly well received. The Final Fantasy series is legendary, it has influenced many of the RPGs and many of the features we see today are an evolution or copy of elements from this series. Another mainstay in the RPG genre is the excellent Diablo series from Blizzard Entertainment. This dark fantasy RPG is sometimes called a hack ‘n slash with RPG elements, but is generally considered an action RPG. It is set in a world in which the forces of Heaven and Hell are at war and the players can assume the role of one of various classes with different abilities. The player character fights against the forces of evil and eventually Diablo, the main antagonist. 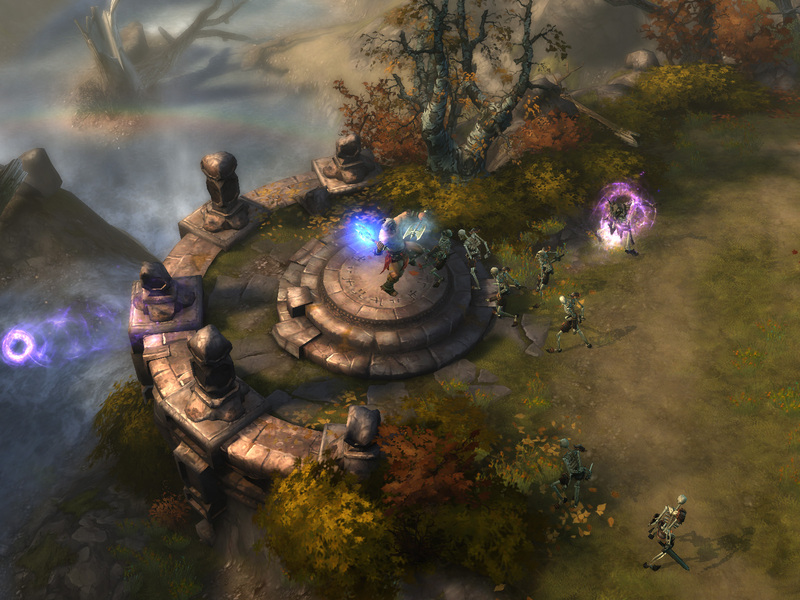 Unlike most RPGs, Diablo doesn’t feature multiple endings, but the character leveling system, customization and other elements categorize it as an RPG. Upon release Diablo was given near perfect scores from critics and remains one of the highest rated games of all time. The graphics, score, atmosphere, replayability and customizable gameplay were praised. Diablo essentially created the genre of point and click RPGs and is cited as inspiration for many RPGs. In 2000, a sequel to Diablo was released, called Diablo II. It is a continuation of the story from the first game and featured more character classes, an updated graphics engine and more customization options. Diablo II was also well received and spawned an expansion pack called Diablo II: Lord of Destruction, which included 2 new character classes, a new game chapter and completely revamped the gameplay of Diablo II. A much awaited sequel, Diablo III is was announced in 2007 and was slated to release back in 2011 but has now been pushed to a Q2 2012 release. Numerous previews show off the new graphics engine, slightly modified character classes, auction house and return of the characteristic hack ‘n slash RPG elements. Diablo III will take place 20 years after the events of Diablo II and looks to continue the legacy of the previous games. The Dragon Age series began with the release of Dragon Age: Origins in 2009. Developed by BioWare and published by Electronic Arts, this medieval fantasy themed RPG focuses on the player character in a world called Ferelden during a period of civil strife and demonic invasion. It was very well received critically and was praised for its classic party based RPG elements. It was an ode to the RPGs of old and required party customization, micromanagement and elements characteristic of older RPGs. An expansion pack called Dragon Age: Origins – Awakening was released, that functioned as a standalone game as well. Players could import their character and continue from the original game with whatever ending they chose or they could start of with an entirely new character assuming a default ending. It wasn’t as well received as the first game but still sold well. A second game in the series, Dragon Age II was released in March 2011 and was met with positive reviews. 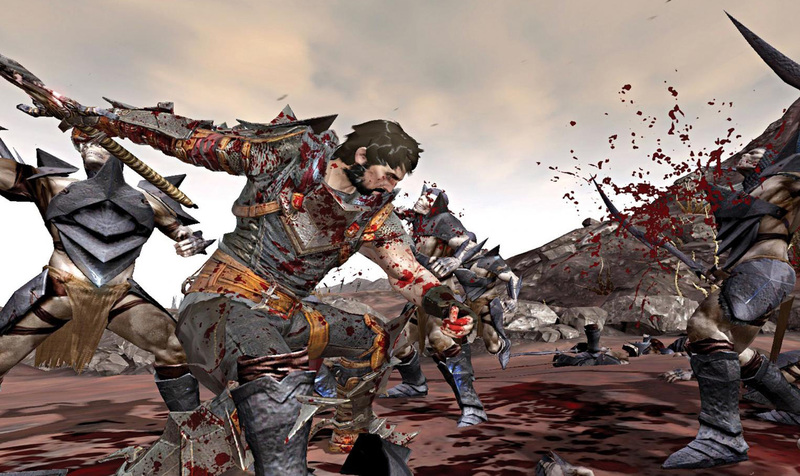 It was praised for its graphics, combat and storyline. A third game is in the pipeline, and with BioWare at the helm, we can always expect a good, if not great game. The Star Wars series had numerous videogames to its name but none were particularly quote-worthy. It all changed with the fantastic Star Wars: Knights of the Old Republic released in 2003. Set 4000 years before the rise of the galactic empire, Knight of the Old Republic featured turn based party-centric combat and an epic storyline. 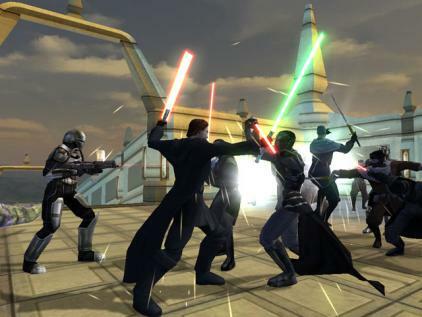 The combination of Force powers, pistols and lightsaber combat gave players a lot of options to customize. It was highly praised and is considered among the best games ever made and needless to say, was game of the year for a lot of publications. Also, Knight of the Old Republic has one of the most memorable twists in gaming history and is hailed as one of the best works of the expanded Star Wars universe. A sequel called Star Wars: Knight of the Old Republic II – The Sith Lords was released in 2005. Players assumed the character of a Jedi exile trying to overcome the threat of the Sith. It was well received by critics, but not as much as its predecessor. Also, it was criticized for being incomplete due to a rushed development schedule. A comparatively new and unknown IP, BioWare’s Jade Empire released on the Xbox in 2005 and on the PC in 2007. This one off game created waves upon it’s release and was extremely successful critically and sold well too. Set in ancient China, Jade Empire is an epic tale of redemption reminiscent of old Wuxia movies. Jade Empire effortlessly blended Chinese mythology and marital arts with a great story with multiple paths. Players could choose their character and fighting styles, which could be physical or magic reliant. Furthermore, fighting styles could and had to be changed during combat to counter enemies effectively. This blend of a great story, innovative battle system and non linear gameplay made Jade Empire one of the best RPGs of modern times. Plans of a sequel have been floating around since 2007 but nothing has been set in stone. Although, BioWare are interested in a sequel sometime in the future. The Baldur’s Gate series is considered to be one of the greatest in RPGs. The first game, Baldur’s Gate, released in 1998 was similar to Diablo, but with more RPG elements than hack ‘n slash elements. It was developed by BioWare and published by Interplay Entertainment. This high fantasy based RPG was extremely well reviewed and was cited as a new benchmark for RPGs to come. An expansion pack was released in 1999 called Tales of the Coast, it was well received as well. A sequel was released in 2000, called Baldur’s Gate: Shadows of Amn. It continued the story from Baldur’s Gate and was praised for nearly every aspect. In fact, it is frequently said to be the greatest RPG of all time! 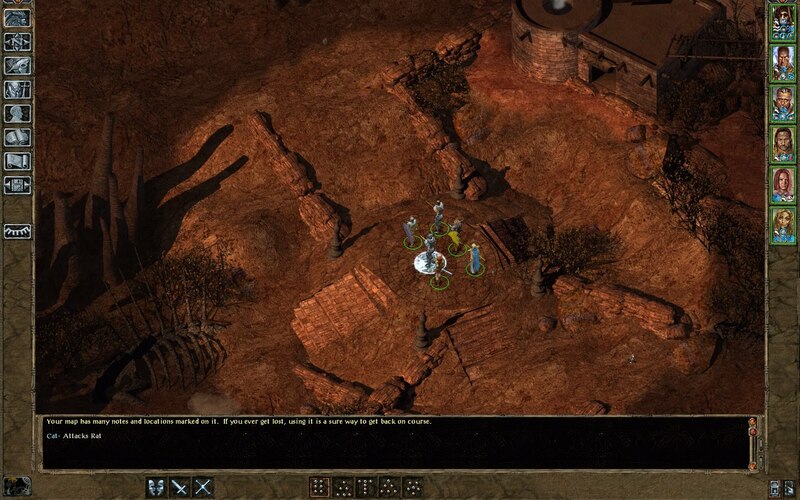 2001 saw the release of its expansion pack called Throne of Bhaal which added a new area and storyline, better graphics and a higher level cap along with other content. The games until this point ended the story arc of Bhaalspawn. Two more games were released after this, in 2002 and 2004 called Baldur’s Gate: Dark Alliance and Baldur’s Gate: Dark Alliance II. They had a new storyline set in a different area of the same world from previous games, but were more hack ‘n slash oriented. The sequel was a continuation of the story from Dark Alliance and improved upon it with technical changes and content additions such as new areas, story and playable characters. Both games were reasonably well received. A third entry in the Bhaalspawn saga called Baldur’s Gate III: The Black Hound was announced but then cancelled following the bankruptcy of Interplay Entertainment, and with it the developer, Black Isle Studios. The property now lies with Atari and it was announced back in 2008 that the series might be revisited. 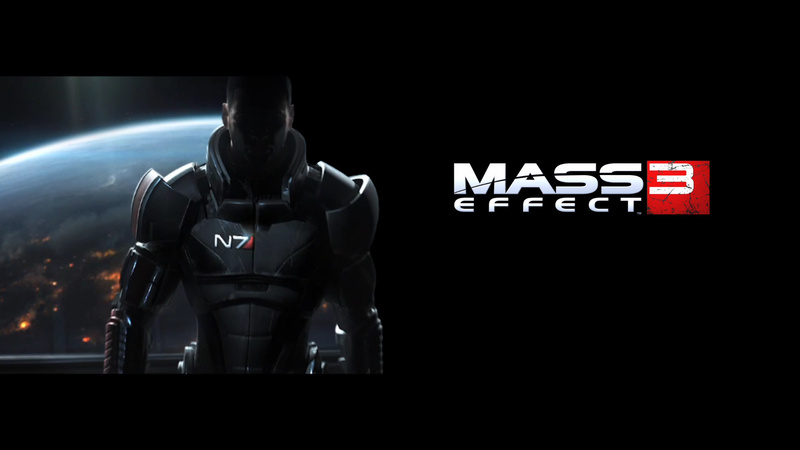 The series everyone is talking about, the series with an installment that just released, Mass Effect. Even though it is one of the newest series in the RPG genre, Mass Effect has already acquired legendary status and is amongst the best RPGs of all time. Both previously released iterations of this series have been extremely successful critically and commercially. Nearly every aspect, story, sound, gameplay, customization options, non-linearity, dialogue, atmosphere and so much more has been praised. First released back in 2007 for the Xbox 360, Mass Effect takes place in 2183, where man has discovered alien races and faster than light travel and so much more. The main character is Commander Shepard, who can be customized according to preference, who sets out to explore the galaxy and discovers a plot to end all sentient life. Conversations, quests, storyline, everything is adaptable and changes according to player choice. The sequel, Mass Effect 2, built on the strengths of its predecessor and featured improvements to all aspects of gameplay while keeping the core essence intact. A continuation of the story can be played either by importing a character or starting anew. The last game in the trilogy, Mass Effect 3 was announced in December 2010 and releases March 6th 2012. A number of gameplay, CGI and live action trailers were released and praised for their epic feel. One of the main draws of this series is the fantastic story. Initial reviews have given near perfect scores to Mass Effect 3 and claim the series comes to an end with an epic, touching finale. Surely, Mass Effect 3 is one of the biggest contenders for game of the year and is one of the biggest releases of the year, if not the decade! So there you have it, these are the greatest modern RPGs, just one of them can probably keep you occupied for a month or so, and every single one is worth playing, so get gaming! Cant wait for Diablo III….It looks so beautiful!! Interesting post, My fav is fallout series. Thanks for the share.